What Should You Do If Your Ex Refuses to Pay Your Alimony? You endured the stresses and difficulties of divorce proceedings and fought to ensure that you got the alimony you felt you deserved. But your ex is now simply ignoring the requirement and not making their payments to you. What can you do? 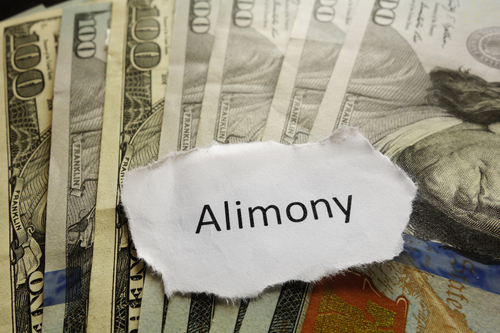 Here are the steps you need to follow to ensure you get the alimony you deserve. First, you need to ensure that you have an order signed by the judge that requires your ex to pay your alimony or spousal support. If you’re not sure where to find this order, speak to your divorce attorney; they should be able to help you locate it. Then, you need to review the order to verify the amount they are required to pay and when they are required to pay it. Once you can prove that your ex is required to make those alimony payments, you can move forward. If your ex is required to pay alimony but has failed to make those payments, it is usually fairly easy to prove non-payment. Alimony payments are often made by check or money order, or a direct transfer to your bank account. All you should need to do is pull bank records showing that your alimony payment was never deposited. Be sure to pull statements for all of the time periods in question. So, if your ex hasn’t made payments for the last four months, you will want to print out statements from all four months showing that no deposit was made. Once you have the documents needed to prove non-payment of your alimony, it’s time to work with a divorce attorney and ask the court to enforce the order for alimony payment. This requires asking the court to reopen your closed divorce case. To do this, you will need to either file a Motion for Enforcement. This is essentially the court ordering your ex to follow through with the payments as previously directed. This order needs to be delivered to your ex, which can typically be done with a process server. If the Motion for Enforcement is ignored, you’re not out of options yet. Your next step would be to ask the court to hold your ex in contempt. First, you would file a Motion for Contempt; another option is to ask the court to file an Order to Show Cause. Both of these options force your ex to show up in court to defend their reasons for failing to pay your alimony. Again, you’ll need to make sure that these orders are properly served to your ex, so they can show up to the court at the appointed date and time. When you ask the court to hold your ex in contempt, you can also ask them to issue a warrant for their arrest, should they miss the court date or continue missing alimony payments. Or, you can choose to take this step later on. For example, if your ex shows up to the court date, pays what they owe in alimony, then resumes missing payment, you may choose to ask for a warrant to be issued at that point. This can often drive the point home for your ex that missing their alimony payments is breaking the law. If your ex has a habit of not making their alimony payments, you can circumvent them altogether and ask for an income withholding order. If it is approved, your ex’s employer will automatically withhold your alimony from their paycheck. This process usually takes four to six weeks, but once it’s been implemented, you will no longer have to worry about fighting your ex to get your alimony payments. You can also ask for their wages to be garnished. This is similar to an income withholding order, but can only be used to collect future payments, and not past-due ones. However, garnishment is taken directly from their bank account, so if they have income that does not come from a paycheck, a garnishment can take your share of these funds directly from their bank account. There are a few other methods of collecting the alimony that you’re owed as well, such as sale of assets, liens on properties, and more. If you’re struggling to get the alimony that you deserve, contact our law offices today. We can help you to get the payments that you are owed.